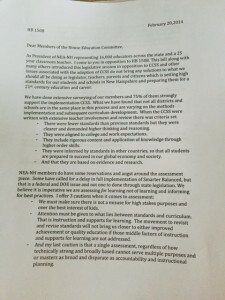 AUGUSTA – Maine teachers are growing frustrated with the Common Core State Standards, a controversial educational reform that has quietly wound its way into nearly every American school in the past few years. 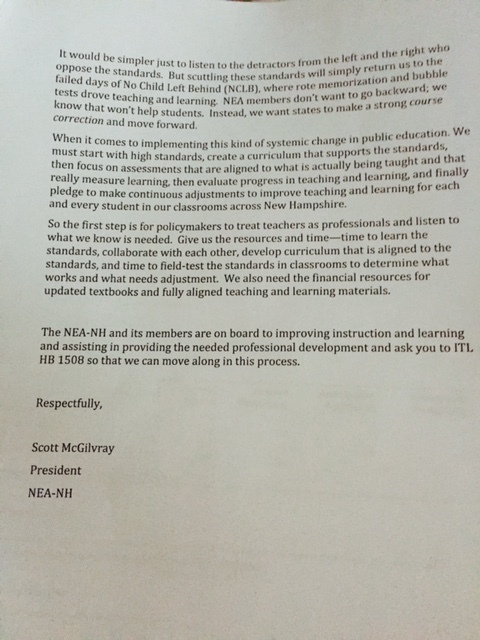 “Teachers from around the country (including many here in Maine) have expressed concerns about the way the Common Core standards are being implemented and assessed,” wrote Maine Education Association (MEA) lobbyist John Kosinski in a Feb. 19 email to Democratic leaders. “Frustration is quickly growing among teachers,” Kosinski wrote. The email, which was sent to Senate President Justin Alfond (D-Portland), House Speaker Mark Eves (D-North Berwick), Sen. Rebecca Millett (D-Cape Elizabeth) and Rep. Bruce MacDonald (D-Booth Bay), was obtained by The Maine Wire through a public records request. 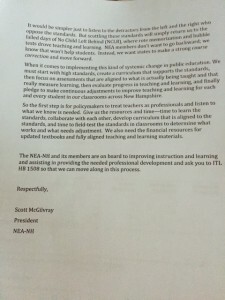 “You can expect the NEA will be calling for greater collaboration with teachers on retooling the standards,” he wrote. Maine replaced the Maine Learning Results with the Common Core in January of 2011, becoming the 42nd state to have adopted them. 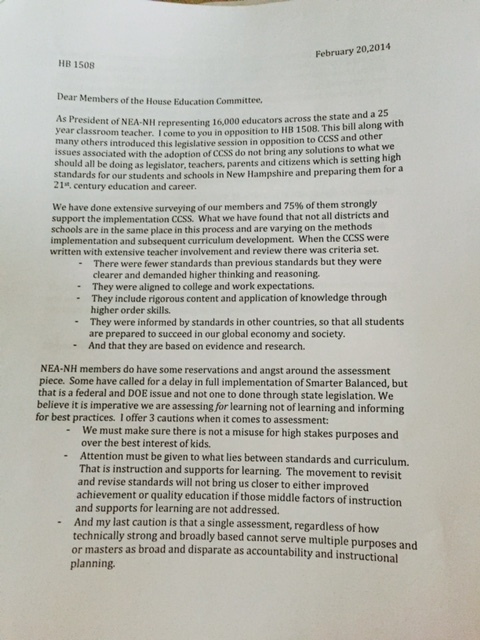 This entry was posted in Teacher Opinion, Teachers and tagged AFT, Commoncore, GovernorHassan, Maine, NEA-NH, Teachers, TomRaffio on May 25, 2014 by Admin.